A hybrid farm and teaching space, Wise Earth Farm grows food naturally and teaches CAFE Program Participants how to grow and harvest delicious produce. A view of the farm entrance. Wise Earth Farm (est. 2011) is a two-acre, micro scale, urban vegetable farm located at the corner of KLO Rd and Mission Creek in Kelowna, BC. 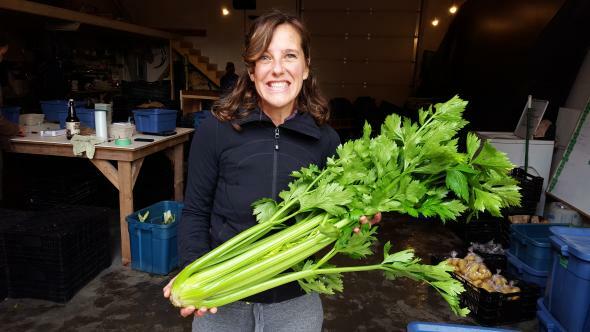 We grow a good variety of delicious, naturally grown veggies and herbs throughout the entire growing season here in the Central Okanagan and are always pushing the boundaries to extend the availability of our products throughout the year. We farm using regenerative agriculture principles which is an approach to food and farming that regenerates soils and increases system biodiversity. We believe that growing delicious and nutritious food comes from the health of the soil that produces it. At Wise Earth Farm we are working to create an environmentally sustainable, socially responsible farm-business model that is equitable for us farmers, our workers, and our community. Teach people - We show the local community how to grow and harvest vegetables. These life and employment skills will hopefully lead people to work in jobs that they love. If you do what you love, the money will follow. Feed People - We grow fresh and healthy food to sustain our program and community. People who have access to fresh food are more likely to live fulfilling lives. Heal People - We can all benefit from gardening and community food-growing projects. It is widely recognised that regular contact with plants, animals and the natural environment can improve our physical health and mental well-being. When we grow food and flowers, we are engaging with the natural world at a pace that provides a welcome antidote to the stresses of modern life.